This April 2014 photo provided by Colorado Parks and Wildlife shows a Gunnison sage grouse with tail feathers fanned near Gunnison. 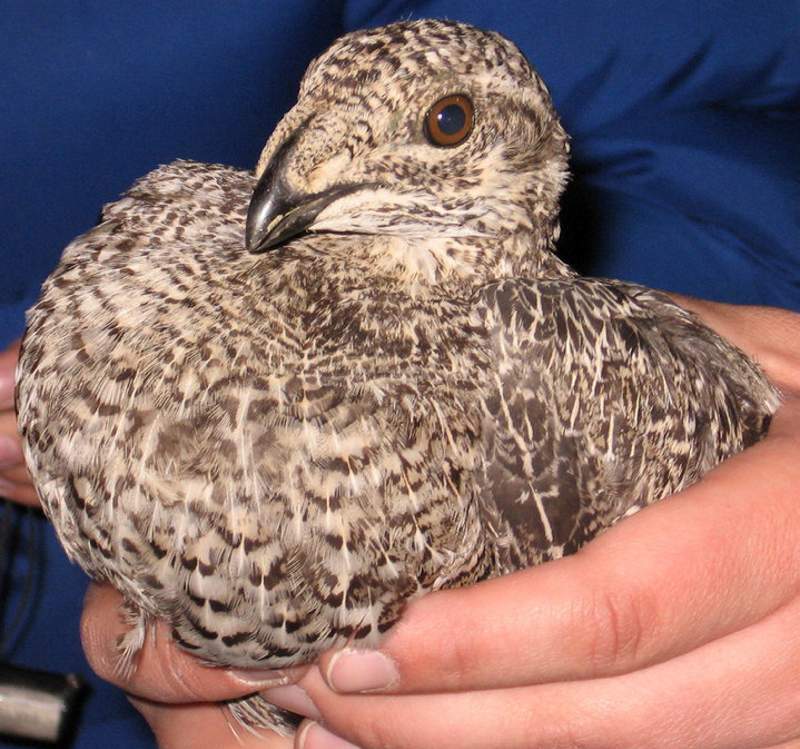 San Miguel County is working to save the Gunnison sage grouse. County officials are objecting to lease sales approved by the BLM near critical habitat in Dry Creek Basin. 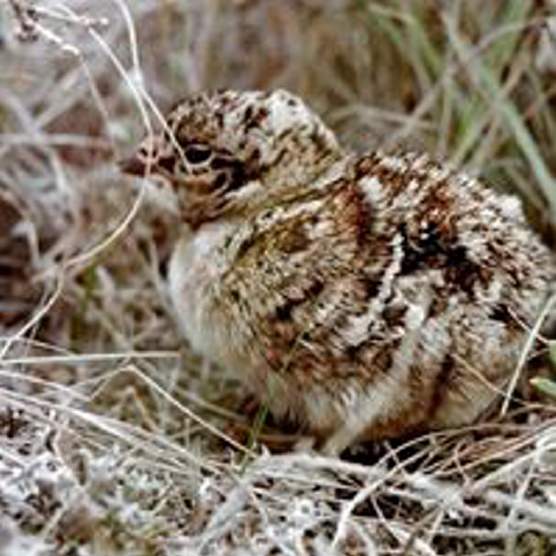 Gunnison sage grouse chicks are so rare the bird has been listed as threatened under the Endangered Species Act. This sage brush plain near Dove Creek was put under a conservation easement in 2015 to protect the Gunnison sage grouse that lives there. 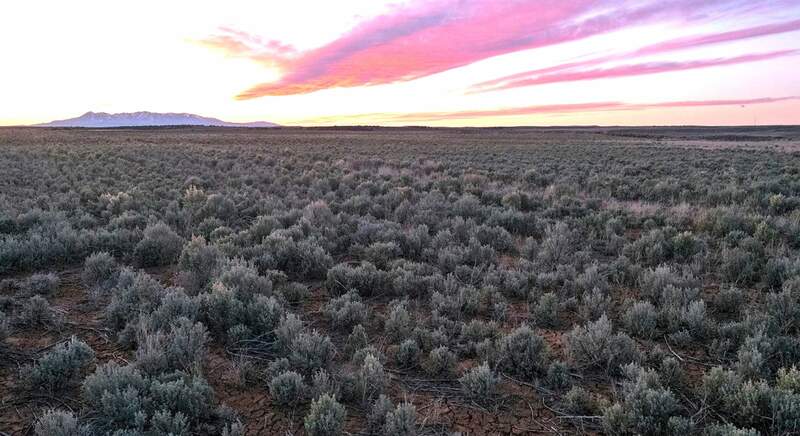 In cooperation with Colorado Parks and Wildlife, 502 acres were replanted with sage brush in 2011. Three environmental groups, along with San Miguel County, have filed a lawsuit against the Bureau of Land Management alleging improper approval of oil and gas lease sales near the threatened Gunnison sage grouse. San Juan Citizens Alliance, Rocky Mountain Wild, Conservation Colorado and San Miguel County argue the BLM failed to properly consider the impacts of drilling activity on the bird, which was listed as threatened under the Endangered Species Act in 2014. They want the court to set aside 10 lease parcels sold in March in western San Miguel county to allow for additional studies. Eight of the leases, located in the Dry Creek Basin area, are tucked between two occupied critical habitat areas of the Gunnison sage grouse. Jimbo Buickerood, of San Juan Citizens Alliance, said the BLM’s reliance on a Resource Management Plan from 2015 to satisfy federal environmental requirements for the lease sale is non-compliant. “The larger management plan looks at a broad area from 100,000 feet level, and does not get near the ground for the specific analysis appropriate to protect the sage grouse,” he said. For example, the complaint says more study is needed on impacts of expected truck traffic on lease access roads, which pass through occupied sage-grouse habitat and are within 1.9 miles of “leks,” sensitive breeding areas where males conduct elaborate mating dances. Plaintiffs are also concerned that the approved leases don’t allow the BLM to adjust or terminate company development plans that threaten the bird’s habitat during the next permit stage, called the application for permit to drill, or APD. “They are supposed to do real analysis at the leasing stage, because if you don’t do it then, it is not going to happen at the drilling permit stage,” Buickerood said. According to the lawsuit, lease-wide, no-surface occupancy conditions cannot be imposed at the APD level, and neither can lease-wide travel bans and restrictions be imposed, if needed. “The lease terms do not confirm BLM’s statutory power to deny or require alterations to APD’s that are likely to take (harm) Endangered Species Act-listed species,” the lawsuit states. 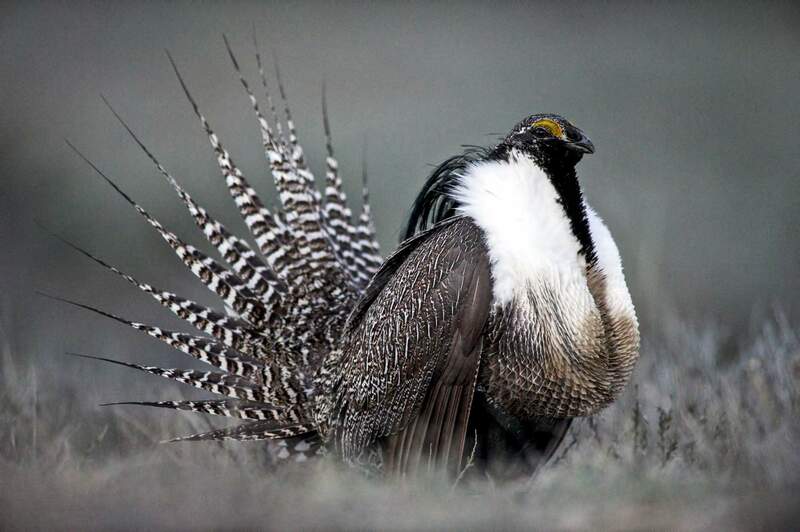 It also claims that under the Endangered Species Act, energy leases that “may effect” Gunnison sage grouse are not valid without consultation from U.S. Fish and Wildlife Service, which the lawsuit alleges was not done properly. San Miguel County Commissioner Hilary Cooper, said the county joined the lawsuit because they fear mismanaged energy development could derail their efforts to improve the bird’s population and get it removed from the Endangered Species Act list. Cooper said her constituents understand that failure to improve the bird’s numbers risks elevating it from threatened to endangered status. “They know that would have impacts on private property within sage-grouse habitat,” she said. Environmentalists are also concerned that two of the leases overlap or are adjacent to the nominated Dry Creek Basin Area of Critical Environmental Concern, proposed to protect Gunnison sage grouse habitat. The current rangewide population of the Gunnison sage grouse is estimated at 5,000 birds across the seven population areas. The largest population, about 4,000 birds, inhabits the Gunnison Basin, with the rest spread out in seven separate populations in Southwest Colorado and southeast Utah. They include: Piñon Mesa, Crawford, San Miguel Basin, Gunnison Basin, Dove Creek, Cerro Cimarron-Sim, and Poncha Pass. The Utah population is near Monticello. “Due to their small population numbers and genetic isolation, theses satellite populations are important to the overall survival of the species,” according to a news release announcing the lawsuit.